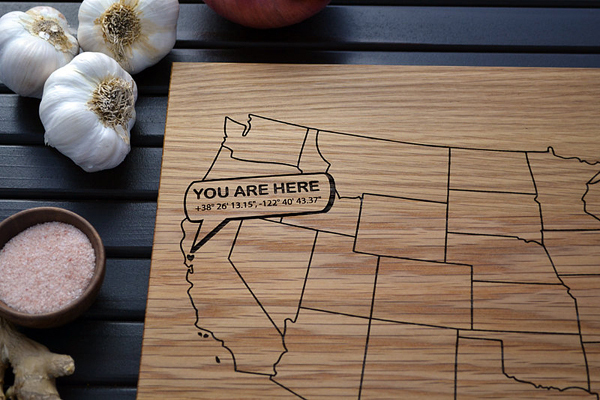 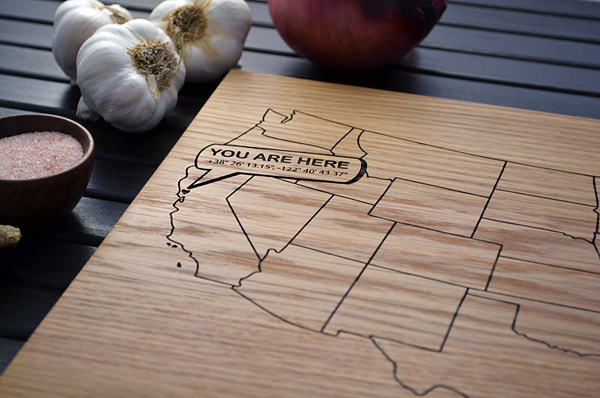 If you want to make an unique present for your friend or buy yourself a pleasant kitchenware gift then take a look at these custom wooden cutting boards. 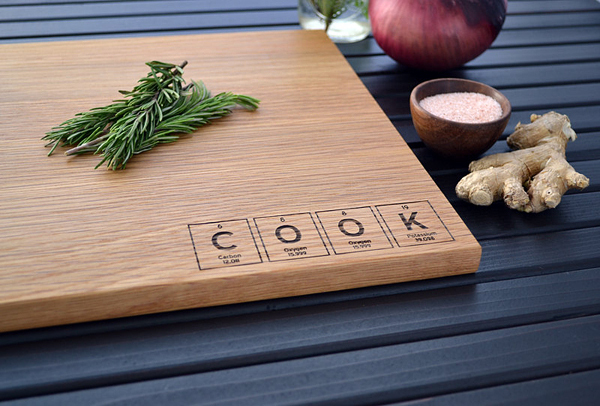 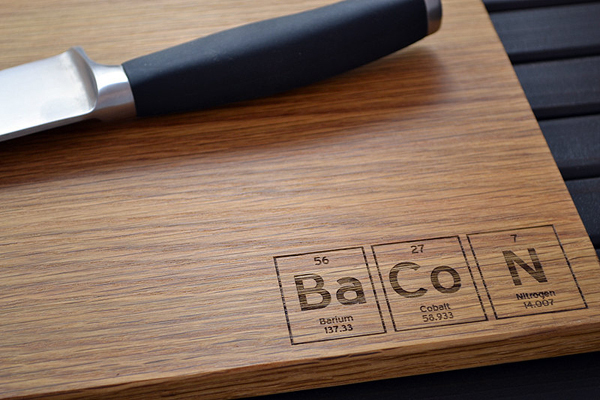 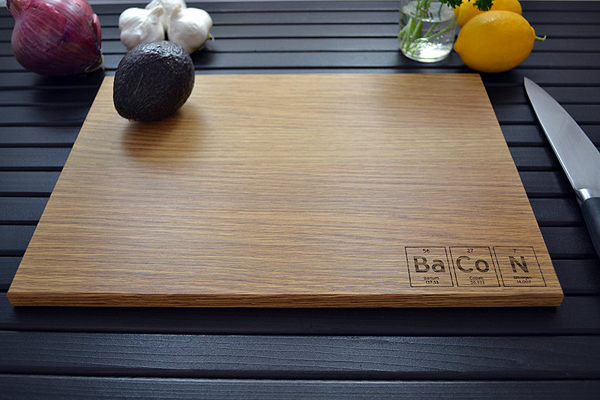 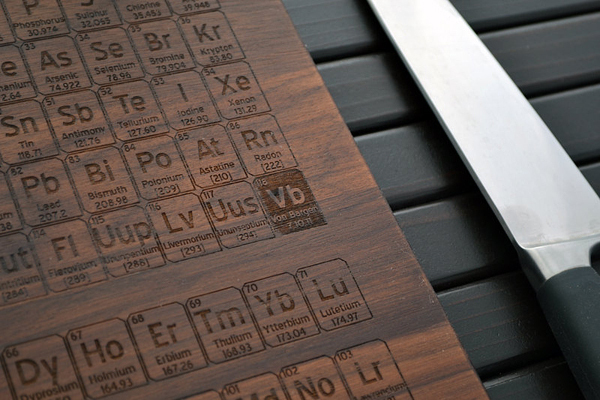 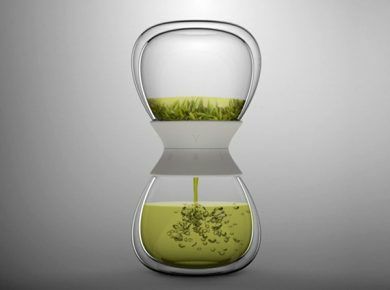 Some of them are engraved with the periodic table of elements, some – custom map or with some symbols by your choice. 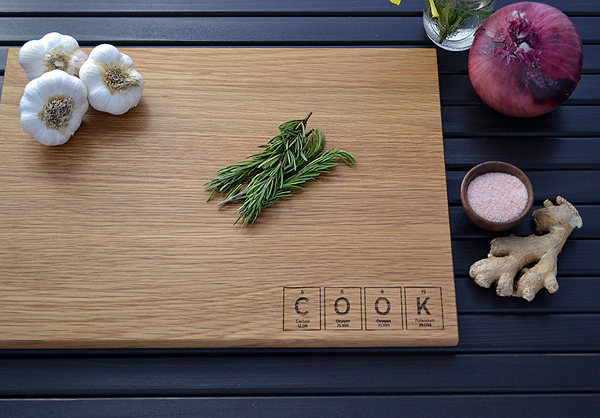 The cutting boards are available in maple, white oak, beech and walnut. 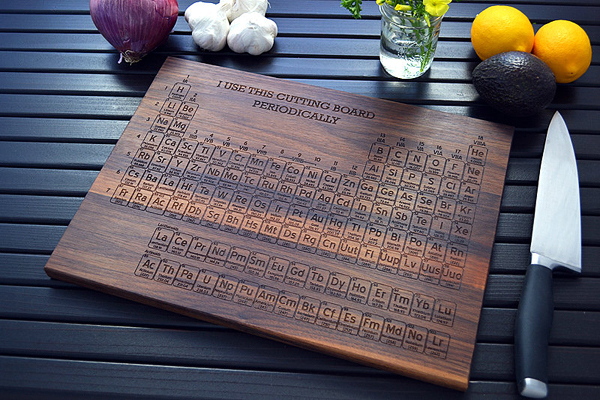 To make your board even more special you can ask to engrave your name and initials inside the spot of the 118th element Ununoctium. 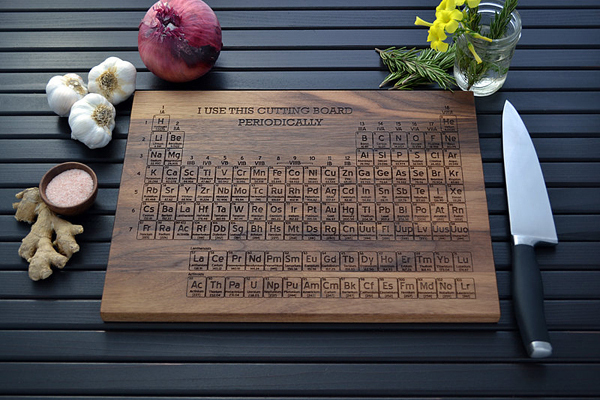 You can buy any of these cutting boards from Etsy store Elysium Woodworks for $45 each.